Wired Plus is a marketing automation and CRM platform for businesses of all sizes, designed to help users create, distribute, manage, and track marketing campaigns, while also tracking contacts, leads, and prospects from within one collaborative platform. Wired Plus uses business intelligence and automation to aid with visitor targeting. The contact management features within Wired Plus allow businesses to track visitor activity, behaviors, and preferences in real time to help make better decisions and personalize marketing content based on insights. The CRM provides all contact data and activity logs in one place to help identify the most engaged prospects, score leads, and personalize pipelines. The pipeline management tools facilitate the tracking of the visitor journey from end-to-end, ranging from where they enter the conversion pipeline to where they drop off the journey. Wired Plus is designed to help businesses with their email marketing by providing tools such as triggered emails, audience segmentation, a drag and drop campaign designer, landing page creation, sign-up forms, feedback collection, performance reporting, and more. Campaigns can be automated with pre-defined, behavior-triggered emails such as targeted content for abandoned carts or browser sessions. Automation workflows can also be setup for recurring tasks in order to save time for marketing teams. Landing pages can be created for every campaign with a custom, branded design and marketing content to increase conversions. The WYSIWYG, drag and drop editor allows users to design their landing pages and optimize them for any device, and landing pages can include forms for subscription, data capture, downloads, feedback, and more. Landing pages can be A/B tested with real-time performance reports to find the most effective option. We have been working with Wired for 6 months, their easy-to use platform meant that moving databases from our previous provider was seamless. New technologies like a built-in CRM system and campaign tracking enables us to accurately evaluate performance through in-platform reporting and Google Analytics. Flexible design features allow us to have full control over campaigns, landing pages and forms with the option to use a drop-design function or html. We have a dedicated account manager who is always on hand to answer questions regarding everything from design, database collection and GDPR. Thankfully for me, no question is too silly and the customer representative's patience and clear explanations make our campaigns work harder for us. As email marketing is constantly evolving, so is the Wired platform - with every suggestion discussed and taken on board to make our jobs that bit easier and more productive. I would recommend Wired to anyone thinking of using an email marketing platform, after years of using faceless systems like Mailchimp, it is a pleasure to deal with a company genuinely invested in their client's success. I haven't experienced any cons as yet, as technology advances there are always ways to improve usability. The Wired team take suggestions where applicable on features that would make my life as a Marketing Manager easier and more intergrated with our customer base. Can't fault the technology or the customer service. WiredPlus has helped us solve so many business communication and marketing issues we had. There are a few things that we are unable to do but who knows what the future will bring. We would like the preference centres more adaptable to our needs, export surveys as PDF's. Starter: £45/month - includes 24,000 emails/year and 3 user accounts. Professional: £150/month - includes 120,000 emails/year and 5 user accounts. Enterprise: £250/month - includes 120,000 emails/year and 5 user accounts. Manage business contacts using the in-built Wired Plus CRM which allows businesses to collect data on their leads and prospects and use it to connect with them on a more personalized level with the aim of increasing leads. Score leads within Wired Plus based on actions within the visitor journey and where they are in the conversion pipeline. Provide sales teams with the tools to target leads that are most likely to convert. Collaborate with sales team members with visibility into each person's workload, upcoming events, tasks, and more, as well as synchronous editing tools to ensure that all team members are always on the same page with tasks. Create targeted email campaigns using the drag and drop email editor, and benefit from contact list segmentation to target specific users with the most relevant content based on their actions or user journey. Access analytics and reports on both data such as opens, clicks, conversions, unsubscribes, and more, and contact information such as behavior, visitor activity, and more. Below are some frequently asked questions for Wired Plus. Q. What type of pricing plans does Wired Plus offer? Q. Who are the typical users of Wired Plus? Q. 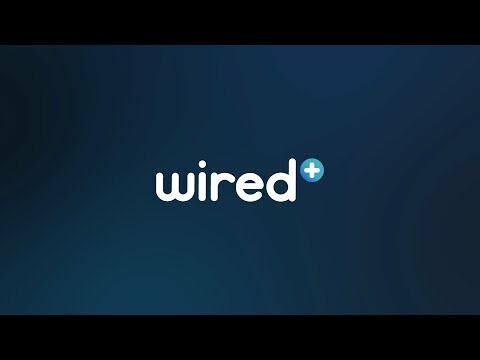 What languages does Wired Plus support? Q. Does Wired Plus support mobile devices? Q. Does Wired Plus offer an API? No, Wired Plus does not have an API available. Q. What other apps does Wired Plus integrate with? Q. What level of support does Wired Plus offer?